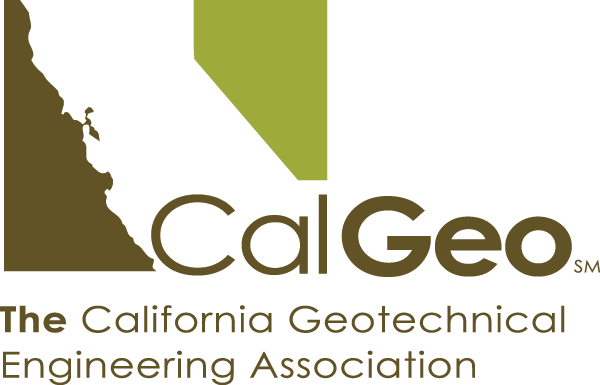 Thank you for being a member of CalGeo and supporting our goals of advancing the geotechnical engineering profession and community within California. We hope to do this by being a resource for your professional development and enrichment, networking and community growth as well as a path for developing leadership training and skills. We hope you will consider getting involved in our organization by joining a committee or board. Visit our Members Club page for members-only content including links to presentations and videos of our regional meetings and emerging professional meetings. Please complete our salary survey and submit it via e-mail to Kelly Cabal by May 1st. This is your chance! Members that don't participate must pay $500 for a copy. Data is confidential and made anonymous after acceptance. Please only include data from the 2018 calendar year. Please take a moment to visit your Profile and update the information in our system. Feel free to add a profile photo so that we can all learn each other's faces! Once you are in the Profile section, hover over the tab at the top to quickly access your subscription preferences, invoices and messages. Use the quick links above to access our Member Directory, Calendar of Events, Discussion Forms and Specific Committees you may already be a member of. If you are interested in joining a committee and getting more involved, we'd love to have you! Please e-mail Kelly Cabal, [email protected] for more information on CalGeo's committees and how you can be a part of our community.